Liverpool-headquartered developer, YPG Developments, has secured a £18 million finance package from Bank of London and The Middle East plc, for its Kings Dock Mill apartment complex located on Tabley Street. Located in the heart of Liverpool’s Baltic Triangle, the development will be a mixture of 204 luxury one, two and three-bed apartments and townhouses. 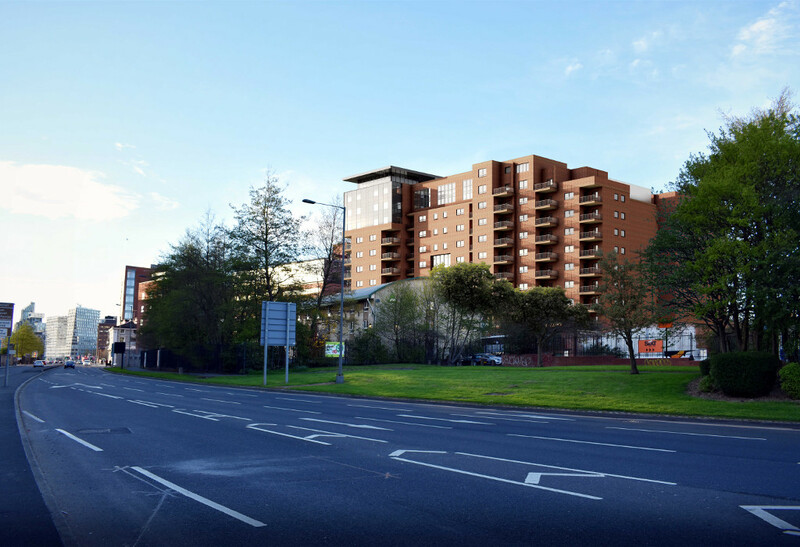 The scheme was granted consent in 2016, with YPG given the green light to demolish the existing industrial buildings on the land, and construct a tiered 10, 11 and 12 storey building. Kings Dock Mill will also provide 70 parking spaces, accessed from Sparling Street, and 100 cycle spaces. The development is situated on the waterfront, with panoramic views of the River Mersey, and walking distance from Liverpool Lime Street, the Albert Dock, and the Echo Arena and Liverpool One shopping centre. Ming Yeung, Managing Director of YPG Developments, said: “The riverside views combined with the proximity to the rich culture and leisure offering of the city centre, and the Baltic Triangle, make the site perfect for the kind of luxury apartments and townhouses we’re delivering here. Construction work is expected to be completed by spring 2019. YPG is acting as contractor. The architect for the scheme is L A G Prichard Architects Ltd.